In recent years, the cost of most food in the U.S. has dropped dramatically with the exception of sugar and sweets. "The U.S. is on track to post the longest stretch of falling food prices in more than 50 years, a streak that is cheering shoppers at the checkout line but putting a financial strain on farmers," last week’s Wall Street Journal front-page article said. The falling farm commodity prices and lower energy costs for transportation and refrigeration are responsible for the lower food prices, but these factors haven’t touched sweets. The annual survey of sweetened product prices from the American Sugar Alliance concluded that the cost of candy, cakes and other sweets have continued to remain high. In the past 10 years, the average price of a chocolate bar has risen 77 cents and is up 10 cents in just the past year. 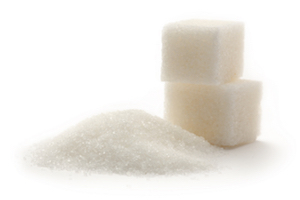 Sugar farmers have not seen the benefits of the rising costs, but popular candy companies are. According to the Wall Street Journal article, the Hershey Co. and Mondelez International earned $7.4 billion and $30 billion in sales last year, respectively. Want to get notified whenever we write about American Sugar Alliance ? Next time we write about American Sugar Alliance, we'll email you a link to the story. You may edit your settings or unsubscribe at any time.